It’s not hard to find stories of success throughout history. There are famous examples showing how failure leads to success. The most important secret of success that even the small business entrepreneur can adopt is the idea that your failures are often catalysts to your successes. Henry Ford’s first car company failed. Since he viewed “failure as simply the opportunity to begin again, more intelligently,” he was able to find success. Steve Jobs turned Apple around and transformed it into a company with a soul of its own that customers love and support. Mr. Jobs did this AFTER he was fired from Apple and rehired years later. These are BIG examples that show how failure leads to success. But can this happen on a smaller scale? My answer is a resounding yes. Let’s look at my client Mariam*. Mariam is a social worker and loves working with her clients. She has worked in the industry for 15 years and been at the same agency for the past seven years. She has some solid ideas as to how things could be changed to improve employee morale, increase client retention and even how to reduce the amount of time required to complete the mounds of mandatory paperwork. Mariam has survived two directors and even helped to train the last one. When I asked her why she hadn’t applied for the position she was almost insulted that I had asked since I knew that she had “only recently completed her Masters’ degree”. How Did a Life Coach Expert Help? We worked around her fear of success and her fear of playing big for a few sessions. She’s still not ready to go for the director’s role but she has applied for several project manager positions both internally and at other organizations. We did some inner freedom work that revealed where her fear of success stemmed from. She became aware of past disappointments that were stopping her from seeing how failure leads to success. Specifically I wanted to figure out why she thought working at a certain level was sufficient. We role played so she would be comfortable talking about her accomplishments and skills during interviews. Once she accepted the FAIL Enough to Win Challenge, we were able to co-create her Road To Success Highway game. During a brainstorming session Mariam decided to get some “inadvertent” training from colleagues and did this by interviewing one person from each department. Her objective was to learn more about the internal workings of leading an organization. Mariam is still one of my active clients. She is learning to embrace failure and inching toward the success that we create together for her during our sessions. What BIG dream do you have that would make the world a better place in some small (or big) way? How will this dream change your finances, enlarge your territory or improve your career? One small step that you can take right now is to simply think about your big dream. In the example above Mariam is an employee that used inadvertent interviews to learn more about the role of a director. 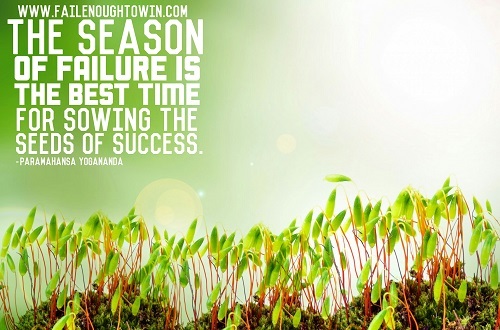 Failure leads to success for small business entrepreneur as well. The tools and strategy for overcoming your fear of failure are similar but each situation is different and the coaches approach is unique. What small step will you take today to inch you down the Road To Success Highway? If you are having trouble figuring things out or if you would like to experience coaching, sign up for my “Taste of Coaching” to see if my style of coaching can help you get to where you want to go quicker while having fun along the way.